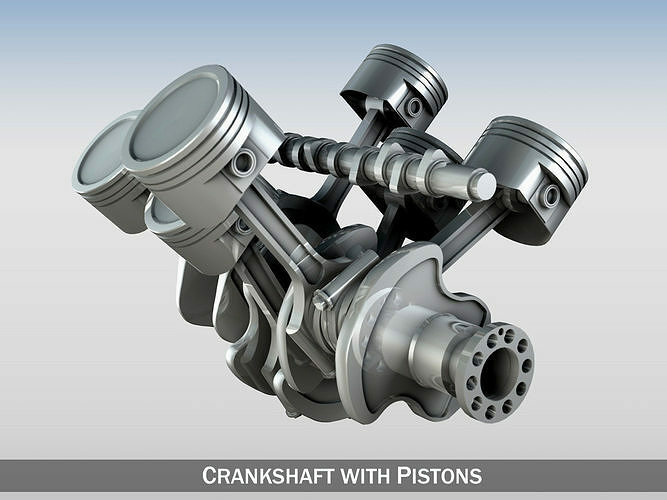 Crankshaft with pistons for a 6 cylinders Vee-type Konfiguration in an schematic manner. Originally modelled in cinema4D. Detailed enough for close-up renders. This is the future of artist an I'm teaching my students not to reinvent the wheel. if your going to be an animator, be an animator!!! How true. Thx for the likes. That`s what I looking for! !